Trixie, Daddy, and Knuffle Bunny take a trip to the neighborhood Laundromat. But the exciting adventure takes a dramatic turn when Trixie realizes somebunny was left behind? Using a combination of muted black-and-white photographs and expressive illustrations, this stunning book tells a brilliantly true-to-life tale about what happens when Daddy's in charge and things go terribly, hilariously wrong. 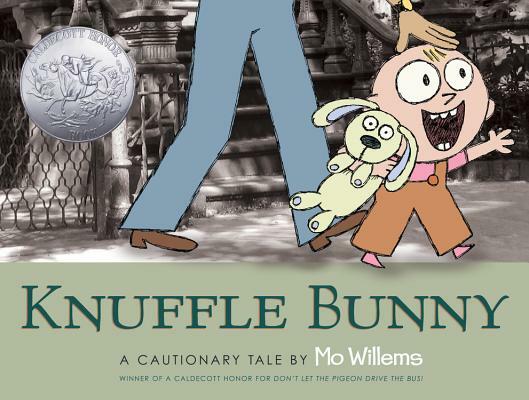 Mo Willems, a number one New York Times best-selling author and illustrator, has been awarded three Caldecott Honors for his picture books, two Theodor Seuss Geisel Medals, and five Geisel Honors for his celebrated Elephant & Piggie series. He lives in Massachusetts with his family. Learn more at pigeonpresents.com.